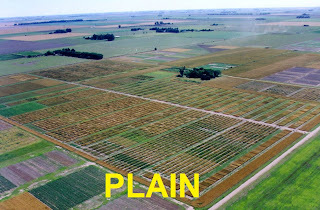 Plains are very large areas of flat land. Moors are high areas of flat land with little vegetation. 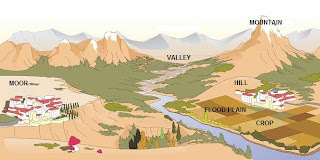 Flood plains are flat areas of fertile land next to a river. They are lower than the surrounding land.